Introduction: With the Season 4 World Finals kicking off in two days, I thought I would visit some of the more under-discussed topics as we head into Groups. With the Season 4 World Finals kicking off in two days, I thought I would visit some of the more under-discussed topics as we head into Groups. While most pundits agree that Group A is pretty much a lock for Samsung White and Edward Gaming, Group B is one of the more interesting in this World finals. The lack of a Korean team means that this group doesn’t have a true favorite. In addition, the group also lacks a wild card and instead features the Taipei Assasins, former host of the Season 2 World Champions and a squad that made a very strong showing at the recent IEM. There’s a lot to talk about in a group like this, but I decided to pick a few storylines that have received relatively little attention in recent coverage. 1. Can Winds defend Taiwan’s honor? The weakness of the SEA region means that commentators often completely dismiss its teams and players without further consideration. The fact that Winds and Westdoor, two of SEA’s finest players, received no attention from Riot’s Top 20 list only furthers SEA’s longstanding role as a regional dark horse. In Season 2, the Taipei Asssassins ran wild in spite of low expectations and ended the tournament as the World Champions. This may not happen this year, but TPA has returned to the world championships with a qualifying squad built around star jungler Winds. It’s already quite interesting for a relative newcoming to shoulder the burdens of a region’s defining franchise, but last morning’s news has added an intense new element. Recently, SK Gaming’s star jungler Svenskeren was caught changing his summoner name to a racial epithet in a seeming attempt to disparage a Taiwanese fanboy. I don’t think anyone has an idea of what was going through his head at the time and his actions seem bizzare and idiotic. But in spite of this, I hope that Riot does not suspend him and finds another way to punish his actions, for the sake of this epic matchup: Svenkersen vs. Winds. The racist foreigner vs. the greatest hope of Taiwan. This sounds like the makings of an epic sports movie…but the match is taking place in Taiwan and is the LoL-crazed region’s first time hosting international competition. In one stroke, Winds can both re-establish Taiwan on the world stage and placate Taiwanese fans calling for Svenskeren’s head. I can hear the TPA chants already. There’s been a lot of talk about what an accomplishment it is that Fnatic support YellowStaR has attended all four World Championships. It’s an amazing accomplishment, and it’s highlighted by the equally crazy fact that one of Europe’s most widely respected veterans, nRated, as never played at Worlds before Season 4. When I first heard this, I thought that it couldn’t be possibly be true. But nRated’s Season 1 team (Team Dimiego) failed to qualify for worlds and his new team, Fnatic, didn’t make it to Worlds in Season 2, and kicked nRated before qualifying in Season 3. This will be the veteran support’s first run at the World Championships, and a quick look at his group stage rivals show that he will definitely have has hands full. nRated has always prided himself on out-thinking rather than outfighting his opponents. Royal and TSM boast a brute force approach in both the team-wide strategy and in bot lane skirmishes. In particular, Lustboy and Zero are two of the most mechanically proficient supports in their respective regions and play with extremely aggressive lane partners in UZI and WildTurtle. In CandyPanda, nRated has a bot lane partner who can equal them in aggression but who also relies on brains rather than raw mechanical skill. Time will tell if their brains will be enough to triumph over their opponent’s brawn. What we do know is that one of the greatest minds in the history of European LoL has finally shown himself on the World stage. 3. Can Dyrus Shake off his demons? Dyrus has had an interesting career. On one hand, its very difficult to deny his success. He’s one of the most popular LoL players ever, he plays on the most successful North American team ever, and is the best top laner in North American history. On the other hand, Dyrus has been haunted by post-season failures. Ever since the Season 2 World Championships, where Dyrus was crushed by Azubu Frost’s Shy, he has regularly underperformed in the play-offs. Although Dyrus proved capable of monstrous games against opponents he disrespected, such as CLG’s Nientonsoh or Coast’s ZionSpartan, he would consistently come up short against opponents he feared, such as Cloud9’s Balls. Last year’s World Championships was no different. Dyrus consistently died in lane and eventually tilted so hard that he began playing top lane Karthus. (He was under the assumption that he would die regardless and wanted to play a champion that could be useful even in death.) At times like these “Best Top NA” seemed more of a back-handled compliment rather than a title Dyrus could wield with pride. 4. Will Uzi share the ball? Royal’s AD Carry Uzi is infamous for his childish and immature behavior. (In his defense, he actually is just a child; he was only 16 heading into Season 3 worlds.) Even in Season 3, he was considered a big handful. 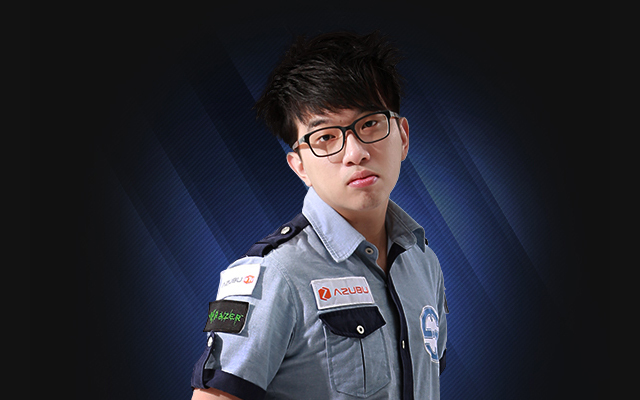 Prior to Tabe’s return to the support role, Uzi had been considering a role swap to the jungle. It looks like trouble has once against struck China’s young prodigy. The details behind the SHRC drama are varied (some claim Uzi is upset that Royal dismissed the team manager, who was like a father figure to him) but seem to focus around his reluctance to play a supporting role for his team. Royal Club’s significant improvements heading into the World Championships were largely because the team shifted a great deal of resources from Uzi to mid laner Corn. It seems like the team is reluctant to camp Uzi’s lane and instead wants to have InSec play mostly a top and mid oriented game. But even when Royal Club was diverting resources onto Corn, Uzi still played a starring role and received the majority of the ganks. An additional strategic shift could spell trouble, especially so close to Worlds. Uzi’s concerns are justified but its important to have the whole team on the same page before a major competition. If an in-game argument leads to a loss, the consequences could be fatal in such a tight group. Will the famously rigid AD Carry bend his ways? Or will StarHorn Royal Club bow out before anyone expected. For all the talk of TPA’s return to the world stage, only a single player from the Season 2 squad remains on the team. That player is AD Carry bebe, who is not only the only remaining member of TPA, but the only member of TPA who still plays competitive LoL. The last time we saw bebe at Worlds, he was crushing Woong in the finals and rushing Phantom Dancer on Vayne. Since then, it’s been a long and winding journey for the former world champion. After Mistake left TPA to form the Taipei Snipers, bebe had to learn to play with a new support, DinTer. Eventually, the rest of the old squad also fell apart. Lilballz retired after an elo-boosting scandal. Stanley was kicked and eventually retired to coach Hong Kong E-Sports Limited. Toyz also stepped down and bebe was left to put the pieces back together. After a somewhat successful stint in the top lane, bebe would return to AD Carry after acquiring star mid laner Morning. It was this roster that would play at the IEM World Championships and knock out Gambit Gaming in a shocking group stage rout. Unfortunately, the team failed to achieve much more success at the tournament and returned to Taiwan with a 5th-6th place placing. But although the team failed to take home the trophy, the Taipei Assassins were back on the global map. The team would continue to amass SEA talent by picking up Chawy and Winds, two of the region’s finest talents. Winds became the team’s starting jungler and Chawy became a substitute mid laner/AD Carry. With all these roster swaps, it would be easy for TPA to fall by the wayside. But despite all these changes, TPA has consistently remained a top team in the SEA region, never placing below 3rd at any GPL events. The only constant has been bebe, who is the exact kind of player all championship teams need. Most of his games are reserved and he allows his teammates to carry. But every few games or so, he will suddenly explode and completely put his team on his back. Heading into Worlds, most fans have completely ignored SEA. The fans who do talk about SEA prefer the starry names like Winds, Westdoor, or Morning. But don’t forget about bebe. I’m sure that MadLife and Woong haven’t. TSM’s Amazing has been a heavily criticized player this year’s split. A lot of the criticism has been pretty justified. He was widely hyped up as TSM’s great mechnical replacement for TheOddOne, but he often failed to deliver when his signature Lee Sin and Elise were banned. It became pretty clear as the season progressed that his horrible stats on other champions was not a mere coincidence. Heading into the playoffs, Amazing’s small champion pool seemed to be a prominent weakness of TSM’s. When the playoffs ended, TSM stood as champions. In vlogs released by the team and its staff members, it sounded like Amazing’s issues were either completely fixed or non-existent in the first place. They made it sound like he did not have any champion pool problems and was one of the strongest junglers in North America. To many observers, myelf included, Amazing’s performances were good, but not spectacular. The only champion (other than his main two) he played well on was Nunu, and oftentimes he was a non-factor in games. In a line-up with 4 world-class players, Amazing has often looked like a hanger-on rather than a true star player. TSM was winning with him rather than because of him. The World Championships will be a much different story. Group B contains InSec, Winds, and Svenskeren, who are all arguably the strongest junglers in their respective regions. Amazing has a chance to decisively prove the doubters wrong. It’s a tough task, but if he succeeds, TSM will almost definitely advance at Worlds for the first time in two years. inSec’s move onto the top lane really helped the KT Bullets. Not only did the KT Bullets quickly became the second best team in the world (after SKT) but inSec’s move also unleashed KaKAO to become of the best junglers ever. However, it was a tragically horrible career move for arguably the most iconic jungler of all time. inSec may built his fame with his jungle Zed, but it was his ward-jump kick Lee Sin combo that enshrined his name in League of Legends forever. His move to the top lane may have fit the team at the time, but it made the transition back to jungle all the more difficult. In his first game back, inSec died a whopping 12 times on Vi and looked completely hopeless. He would beat out Gambit Gaming and Fnatic for the IEM World Championship, but it looked like he was abusing the overpowered R-Evolve Kha’Zix rather than truly returning to form. His play became so sub-par that he could only turn to China after losing his spot on the KT Bullets. But with StarHorn Royal Club, it looks like inSec has finally found a team that fits his hyperaggressive jungle style. Whenever inSec makes one of his zealous engages and fights, the team 100% follows suit. The result is a chaotic yet seemingly single-minded team that teamfights beautifully. China is a region known for its rather sub-par junglers, and inSec still has many doubters. But if his play worked in what is popularly considered the second best region in the world, there is no reason why it shouldn’t work against their Group B rivals. If inSec is able to channel his former self and bring out a monster performance, Royal Club stands a real chance at repeating their Cinderella run to the World finals.